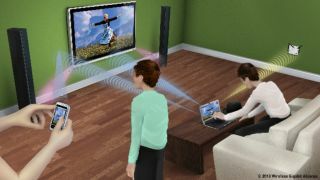 Qualcomm has announced the purchase of Wilocity, a company that builds wireless solution around the WiGig technology. The standard, which has been merged with the more mainstream Wi-Fi and is now known as 802.11ad, allows transfer rates of up to 7Gbps in the 60Ghz band. WiGig is seen by many as the answer to the congested 2.4GHz and 5GHz bands used for 802.11n and 802.11ac Wi-Fi respectively. While it doesn't cover as wide as an area as Wi-Fi, it is faster and consumes much less power making it the perfect wireless solution for a number of scenarios. Qualcomm's acquisition will fasten the introduction of tri-band solutions that will be able to access all three bands and hopefully bring forward the launch of more WiGig-compatible products. A reference design based on the Snapdragon 810 is already available and while Qualcomm hasn't said when it will launch the first WiGig-infused Atheros solution for smartphones, we expect the first products to come to market in time for CES 2015. Qualcomm Atheros was an early investor in Wilocity and worked closely with it to release tri-band solutions since 2011. Dell was one of the first to release a WiGig product last year and others such as Microsoft, Cisco and Intel are also huge fans of the technology.